Short introduction of yourself - e.g. What is your name? Where are you from? What is your profession/job? My name is Kimberly Miller and I am the Lifestyle and Parenting #RVA Mom Blogger behind Life in a House of Testosterone. I was born and raised in a little town in Pennsylvania and then moved to Jacksonville, North Carolina where my (then) husband was stationed in the United States Marine Corps. When he decided to go off to South Carolina to pursue his dream of becoming a drill instructor he ended our marriage and I moved to Richmond, Virginia with a girl friend of mine and I've been here ever since. Tell us something more about your family please - the number of children you have and their ages, what are your "family traditions," and any other tips you might have for other moms to keep the family happy. I have a beautiful daughter from my first marriage to the Marine, and two sons with my current husband. My daughter, April-Nichole, is married to her best friend and is in her mid-20s and lives about 20 minutes from me. I live with my current husband and our two sons, Jonathan (16) and Tre (13), and our little Jack Russell Chihuahua mix, Mollyanna, who thinks she runs the house. Between her and the boys - they keep me busy! I love camping and traveling. I grew up in a family that was constantly on the road because my dad was a truck driver. We were constantly taking trips with him - going all up and down the east coast. When we weren't traveling with dad in the big rig, we would go camping. I remember one particular year we decided to do a two week vacation of all the campgrounds located on the beach from Myrtle Beach, SC to Rehoboth, Delaware. It was a camping trip that I will never forget - and we made plenty of great memories on that trip. I want to do the same with my own kids - I want them to see that the world is a much bigger place and there is so much to see and explore and to do right in their own backyard that they would never imagine. The only obstacle in the way has been hubby, who is a city boy through and through lol! Keeping the family happy is a juggling act. More times than not, I'm the one playing the peace keeper between the boys (and that includes between hubby and the kids). Moms seem to just naturally gravitate toward the peacekeeper role in my experience - my mother was the same way and most of my mom friends are the same as well. How much do you use a car? How many cars do you actually have? Do you use your car for commuting? We have two vehicles, a truck and a family car – the Chrysler. The truck is hubby’s work truck, he uses it for his job, so the boys and I usually have the Chrysler to use to run errands, go to counseling and doctor appointments, and basically mom gets to play taxi driver for the two teenagers. What do your kids usually do in the car? Are they listening to music, playing with toys, anything else? When they were little I always, always, always had to have a handful of different toys for each of them to play with. They couldn’t play with the same toys – they each had to have their own set of toys and heaven forbid if one child took the other child’s toy. If that wasn’t a screaming and crying and temper tantrum throwing time! Now that they are both teenagers, they have their headphones embedded and faces planted in their phones. I could drive circles around Bigfoot twenty times and they would never know. I usually have to tap them on the arm when we arrive where we are going to let them know we’ve arrived! Do you plan a holiday each year? If so, can you tell us more about your plans? Are you going to be doing road trips this year? Oh my Lord yes!!! The kids may not always be thrilled about taking a vacation with mom and dad every year – but trust me, mom and dad NEED their vacation lol! After dealing with detentions and missing homework, and smart-mouthing teachers for the entire school year – by the time school ends in June, Dad and I are more than ready for a vacation on the beach with nothing to worry about except a sunburn! We plan on going to Virginia Beach for the 4th of July this year and then hopefully taking another smaller camping trip for just a weekend or two in August before school starts back up. I’ve been dying to get the kids and hubby out camping and I am determined this year is going to be the year! In case you need something to buy ... What is your usual behavior? Do you go to the local shop or do you check on the Internet first? Do you like shopping and/or comparing prices with the products on Amazon.com? If it is something I need on a daily or weekly basis, I hit the local shop. If I’m shopping for something for our vacation or looking for gifts for family members, I always check out the prices on Amazon first. I usually get a wicked awesome deal there that I can’t find elsewhere! 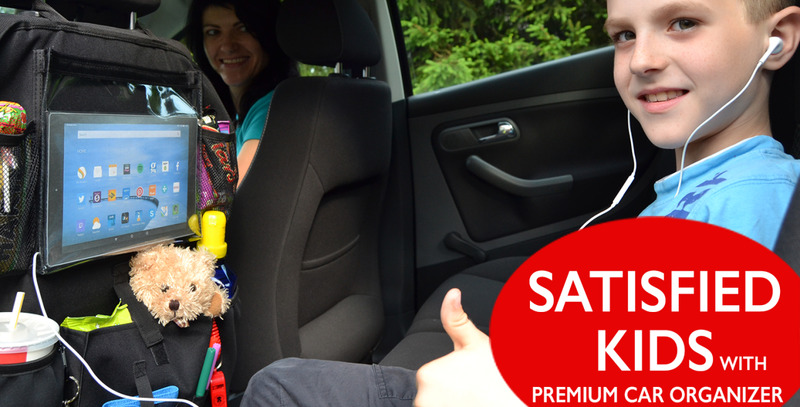 Why have you decided to buy and try the Bearoy car back seat organizer? My husband is FANATICAL when it comes to the Chrysler. He can tell if a vent has been moved, a floor mat is crooked – doesn’t matter what it is, he will spot it in a heartbeat and depending on his mood get bent out of shape lol! When we go on vacation it makes him a little crazy because we have all this *stuff* in the car with us, two teenagers with their “must have” bags, me with mine, then there’s the snack bag and the drink bag – it can get so crowded that there isn’t enough room for the kids! So I absolutely loved the Bearoy car back seat organizer when I saw it. Absolutely everything that the two teenagers could want ALL fits into one organizer (although I’ve already been told they each want their own). Not only does it give them more room – there’s less clutter and chaos trying to find something so hubby is happier and when hubby is happier in the car – everyone is happier in the car! What is the most common use of your Bearoy car back seat organizer? Do you use it to keep the back side of the seat clean and unspoiled? Car organization? Watching movies through the touch screen window? The boys watch their silly MTV shows on the tablet and keep their drinks and snacks in one place along with their iPods and cellphones – everything fits right in one organizer! I actually get a little jealous because they have all that awesome in the backseat while I’m digging through my bag in the front! What about your children? Have the been enjoying the Bearoy? According to both of them it belongs to them. Are you happy with your Bearoy car back seat organizer? Would you buy another one? Would you recommend the Bearoy to your friends? Most definitely happy with it and yes, we would buy another one and probably will before too long if they keep hounding me about each having their own lol! Anything else you would like to add? A helpful parenting tip? Interesting life story? Something funny? Traveling with kids is a challenge, no matter what the age. Bearoy understands that and helps you keep all of their wants and needs organized and within easy reach. Have a screaming toddler in the back of the car who can’t find his favorite toy? It’s there in the Bearoy. Have a teen who wants to watch the latest episode of Gossip Girls? The tablet section of the Bearoy Organizer can hold her device with ease and allow for her headphones to fit right in so everyone else in the car doesn’t have to listen along. Have a grade schooler who loves car games? Plenty of space for coloring books, license plate bingo and more in the Bearoy! Kids drive you crazy and you’re out the door to escape by yourself for a much needed R&R road trip? Put the Bearoy Organizer in the front seat and keep everything you need for a pleasant trip right at your fingertips! Of all the places we pay real cleaning attention to, the interiors of our vehicles seem to be the most neglected. We can spend a whole lot of money to redecorate and remodel every room in the house, business space, and even the garden, but our cars? They might as well clean themselves. Now, it isn’t just cleaning that makes a car worth peering into and then appreciated, it takes much more than that. Agreed, the car (symbolic of all vehicles all over the world) seem to pack everything – from the junk to the necessary documents and there are times when one sometimes wonder if ‘the car’ isn’t a moving dump-site, not due to the amount of ‘dirt’ that goes around in it, but based on the errant documents and ‘stuff’ we pack ‘on the go’. The clutter could be too much to handle. From documents to work tools, the car space can be a mess. Now, add to that the endless haranguing of the seats and spaces (especially the back seats) by kids, and your car can quickly become a nightmare that just needs to get you to your destination and you’re out of in a flash. While this has become the case for most, this doesn’t have to persist of you take some basic steps. Organize your documents first: for clear reasons, the documents seem to be the most important of all vehicle ‘tenants’. It’s a great decision to have them arranged and numbered in such a way that finding any document – from vehicle documents to maps, and even bulletins from events attended will be easy and straightforward. This is where an organizer that can take in everything you throw at it comes in handy. Get ‘the’ seat organizer: this is the best option, especially where kids are involved. For you to pull this off the car seat organizer should have space for every possible thing that could clutter the inside of the vehicle and nothing should be given to chance. If you’ve got car TV, great, however not all vehicles do and this is where having an IPad holder is a great option. Asides from that, you’d want a seat organizer that can hold every other bit to make your kids’ car journey a blast without sullying your seats. I’ve had some experience with some, but none seems to have trumped Bearoy Car Backseat Organizer. This beauty of a back seat organizer is every parent’s dream and keeps your kids entertained and well-provided for while you also have peace of mind. From the IPad holder to the well-insulated drinks compartment where cold drinks remain cold and hot drinks, hot, you have the answer to removing every bit of food and clutter from your car. 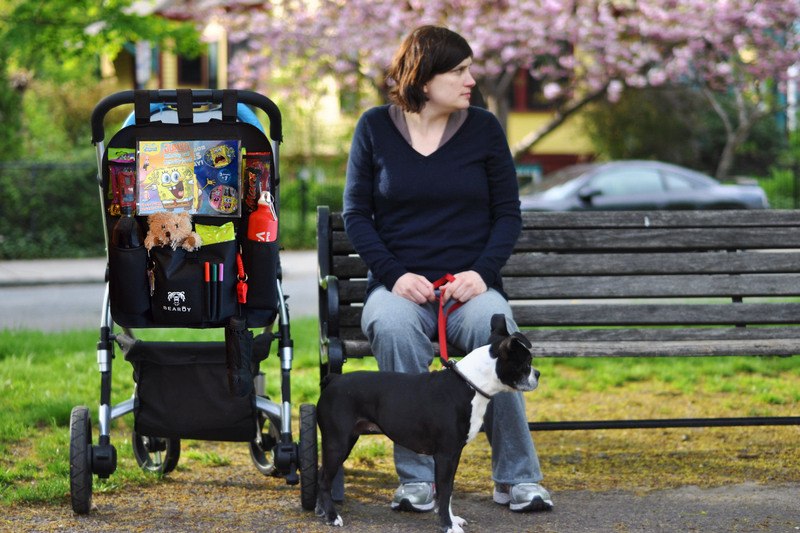 The awesome part is that you can fit it into anything that’s got some space – car, closet, crib, and strollers etc. Now, your kids can even hang in their keys and umbrellas so you know these won’t hang around to either create some commotion in the event that they’re lost in the car and are in the process of being found, and the umbrellas wouldn’t be a nuisance when you’re driving. Isn’t that a win-win situation where you can keep your stuff and your kids’ organized while you keep your car clean and still keep your peace of mind? and do not miss any updates or discounts! Wait, you forgot your car organizer! Use the code "DONTGO" at checkout for 20% OFF your order. No, I do not like discounted stuff.